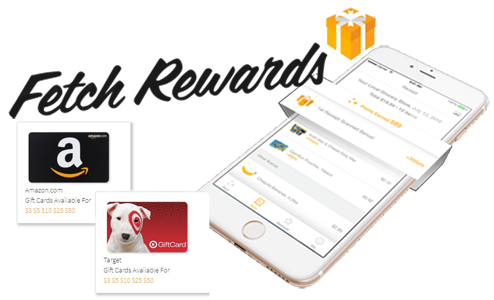 To get FREE $3 Target or Amazon Gift Card you will need to download the FREE Fetch Rewards App to your device from iTunes App Store or Google Play. Sign up and use code code: F5JTC then scan your first receipt (Fetch Rewards works for ANY grocery receipt) you will earn 3,000 points (1,000 points equals $1). Under the “Rewards” tab they have $3 Target or Amazon Gift Cards for 3,000 points.